Verde Events is powered by an elite force of experienced talent. Think of us as an extension of your team. We bring skills in project management, content development, food & beverage, hospitality management, travel, web and app design, and more to every project. Karen founded Verde Events in 2008, maximizing her now 35 years in the Travel Industry. A Certified Meeting Professional (CMP), Karen honed her global event management expertise during her 13-year tenure at Maritz Travel. Her keen negotiation and operations background is fortified with 11 years of success with hotel leaders Marriott, Ritz-Carlton and Four Seasons Hotels and Resorts. An innovative and artistic wit come to life in the events Karen conceptualizes and executes. Respect for CSR (Corporate Social Responsibility) and the sustainable meetings industry is evident in Karen’s board position held on hotel advisory councils, local charities and in the events Verde Events operates. Fearless leader. This red-carpet photo was taken from the steps of the Library of Congress after a mere 105-minute load-in to execute a custom-branded 800-person VIP reception. Yeah…She’s got this! Susan is an accomplished professional who landed in meeting and event planning in 1999 when she explored an opportunity as a travel director. During this time, she was juggling a 16-year career as an actor in a corporate training theater company that delivered professional development programs to corporations, associations, government agencies and universities throughout the United States and Canada. And if that wasn’t enough, she was simultaneously managing a 13-year career as an international and domestic flight attendant with Delta Airlines. She was captivated by the industry and knew it was time to flip the script so she ditched her uniform and spread her wings. A performer she was and a performer she is. 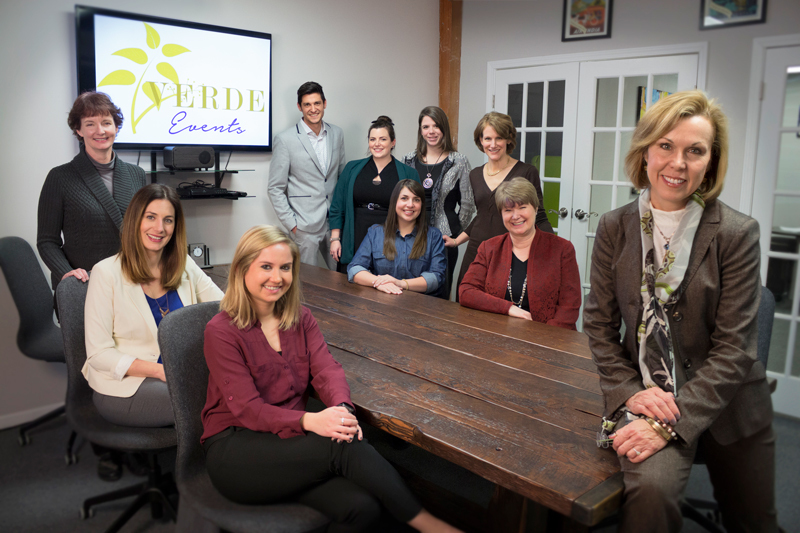 Holding a Certified Meeting Professional (CMP) designation since 2007, Susan joined the Verde Events team in 2011. Here, she found her footing with a conscientious and responsible organization with sound priorities. Verde showcases Susan’s creative talents and her “think-on-your-feet” problem solving skills, while also challenging her leadership and strategic thinking in producing live, impactful experiences on the world stage. With a particular talent for detail management, client/vendor relations and fiscal responsibility, Susan has honed an aptitude for complex pre-planning and on-site operations. She nurtures a collaborative team atmosphere focused on threading the client’s objectives throughout every aspect of the event from concept to execution. Fueled by the opportunity to re-imagine each client’s vision, Susan delivers program solutions that upstage the ordinary and embrace the spotlight. As an event planning veteran, Brenda is ready for anything. From her years of experience, Brenda has the foresight to anticipate her client’s needs and creatively solve the problems that could interfere with their goals. She knows that details make the difference between a highly successful event and a merely acceptable one, and she’s expert at managing those details. And as a certified Cvent Event Management Professional she assures that attendees' first experience - their registration - is a smooth and easy one. This, along with her refined project management skills, lays the groundwork for an effective, memorable event. Whether her clients want an intimate event for 20 or a multi-day conference for 1500, they know their expectations will be met and exceeded. Joey’s mantra for success: “Treat each event as an adventure!” This is a trick of the trade he picked up in when his hospitality journey began while working in operations at the Marriott. Having experience in various roles within the hotel including front office, concierge, and back of house, Joey can anticipate needs and proactively problem solve to create a seamless guest experience. 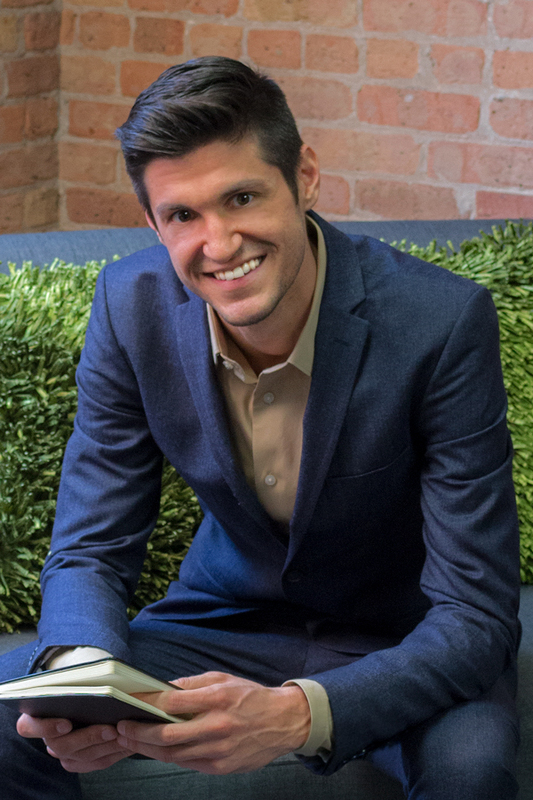 Since joining Verde Events in 2014, Joey has hit the road with his adventures and has had the pleasure of assisting in event logistics across the United States and beyond! Joey is always armed with his infectious smile and positive attitude. If you ask him what his favorite part of being a Creative Event Manager is, Joey would tell you it seeing his innovative and imaginative concepts come to life during the events operation. From petting monkeys in the Panama Canal to climbing the steps of the Mayan Ruins – Joey is always up for his next endeavor! An enthusiastic and inventive manager with 7 years of experience in executing world-class events, Kaitlin is a detail-oriented professional with strengths in organization and execution. 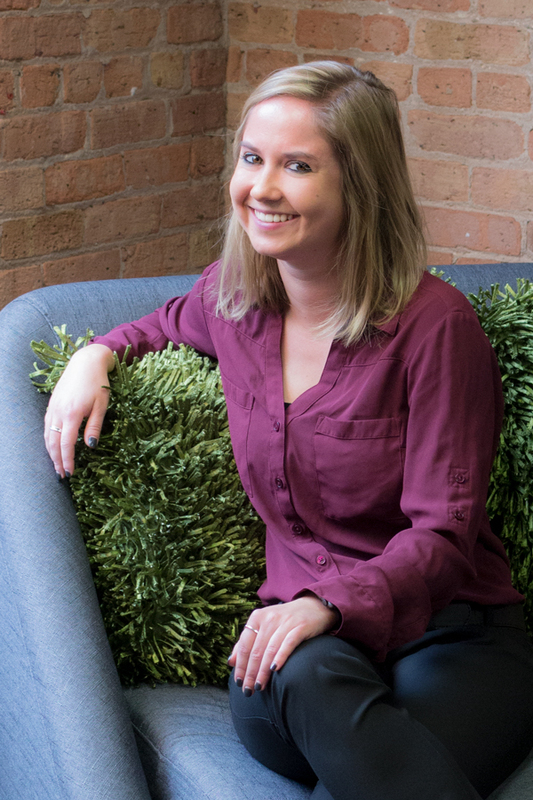 Kaitlin started her career as marketing and event coordinator for a Chicago radio station. In her role, she helped many sponsors plan memorable and successful programs. Kaitlin’s broad skill set ranges from Lollapalooza to Bookwallah and a whole bunch in between! She has experience planning a variety of programs that include incentive trips, meetings, concerts, product launches, festivals, fundraisers and more. She has a passion for creating a seamless client and guest experience from start to finish. She loves art, music, and dining and incorporating all 3 into every event. Elizabeth defines “cool, calm and collected” and has 7 years of world-class event experience to back that up. Her organizational skills, flexibility, and problem-solving skills make her an integral part of any event. Elizabeth is a true ambassador while exploring different cultures, and bringing people together. She has lead event planning and operations teams all around the world including Oslo, Milan, Banff, Costa Rica, Hyderabad, and Hong Kong. With a passion for people and a creative touch, Elizabeth strives to make each event a memorable experience. She enjoys traveling, exploring new restaurants, swimming, and spending time with her niece and nephew. After graduating from DePaul University with a B.S. in Hospitality Leadership, Emily joined the Verde Events team with her suitcase packed and ready to assist anywhere and everywhere. After successfully completing an internship at Verde and joining the team full time as a Coordinator, Emily sought every opportunity and quickly gained invaluable knowledge through her behind-the-scenes and on-site experiences. She seeks to enhance any meeting and incentive program adding that little “something” extra, no matter the size of budget. On-site, clients often ask if she has a twin, because they tend to find her “everywhere” and thinking two steps ahead. Whether taking attendee phone calls or loading a coach, Emily always comes prepared with a smile and positive attitude. With a background in customer service and a passion for the details, Evelyn excels in registration administration. She is an exceptional support team member with a motivation to maintain customer satisfaction. Evelyn’s problem-solving strength is complemented by her excellent communication and organization skills. She brings a Zen-like calm to every situation. The ability to capture attention and stimulate imagination defines Leslie’s work. From concept through creation, Leslie designs and implements engaging user experiences across multiple channels and media formats. Her 25 years in graphics with a diverse background encompassing print, web, interactive, multi-media, exhibition and environmental design. She is fluent in the Adobe Creative Suite (now CC) including Photoshop, Illustrator, InDesign, Acrobat and in Quark Xpress. Travel means receipts. Lots of them! Multiple simultaneous programs happening globally (cue the different currencies) requires keeping everything all invoiced and accounted for so that all Verde Events programs can manage at budget. Terri balances it all (pun intended) by teaching Zumba, which makes her a very cool accountant, indeed.